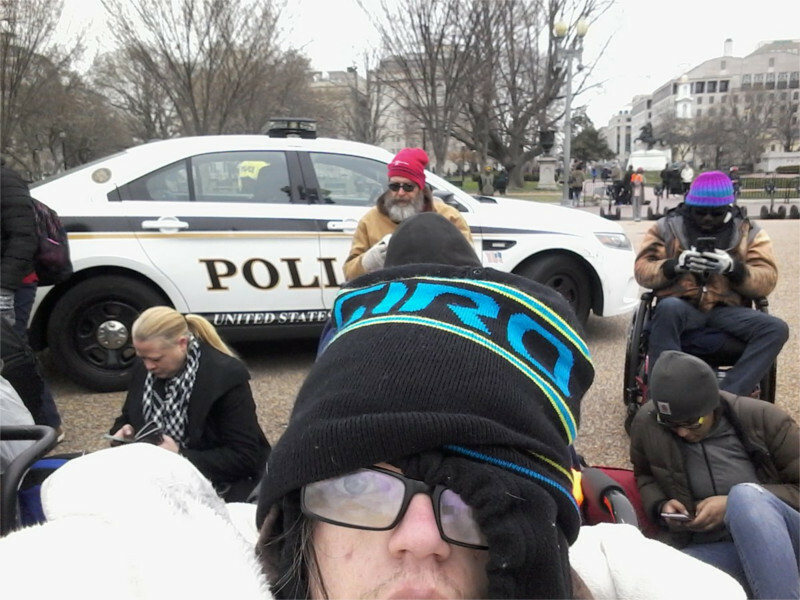 Beginning on the weekend of March 10-11, ADAPT has been camping out in front of FDA Director Dr. Scott Gottlieb's home. 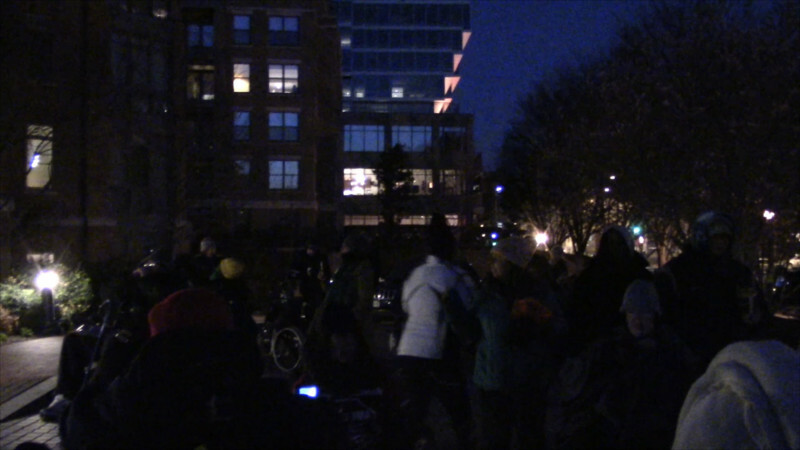 Things got a little hot on the evening of March 11 as ADAPT occupied the circular driveway, and MPD showed up to push them back. ADAPT is there to demand the FDA ban the use of electroshock aversive "therapy" against autistic children and adults at the Judge Rotenberg "Educational" Center. 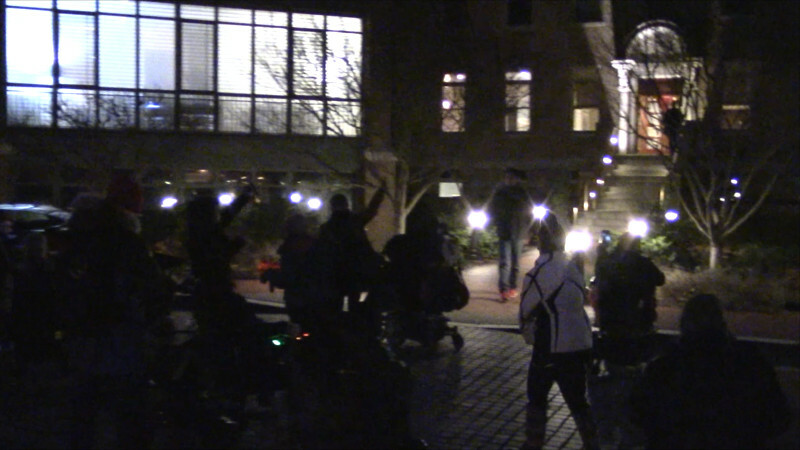 Police responded to the protest, demanding that ADAPT move back to the street or else. Afterwards, it was announced that other residents of the fancy high-rise Dr. Scott Gottlieb lives in were really upset that "my wealthy lifestyle has been inconvenienced." Well, that's how residental protests work: someone responsible for awful things is named and shamed in front of all their neighbors. They can either deal with the protesters, or deal with their neighbors. It gets results. ADAPT is essentially responding to a situation that can only be compared to Huntingdon Life Sciences (HLS) for humans. Thus it is appropriate that they are using an HLS style home demo to put pressure on someone who is choosing not to use their power to shut it down. 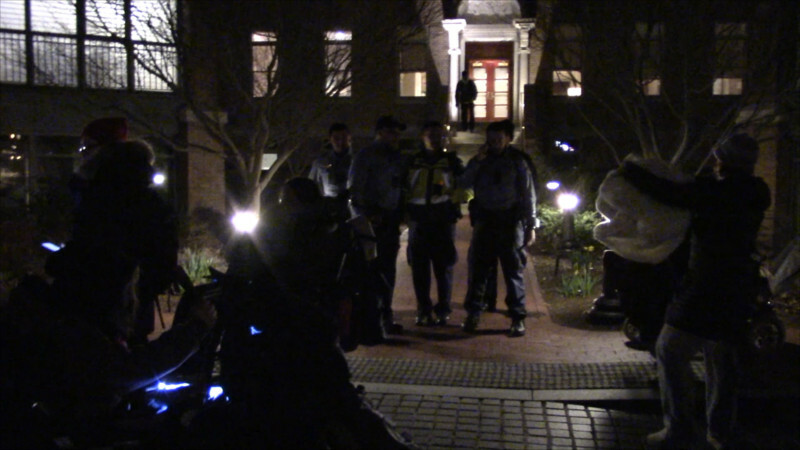 The police response to the protest (including aggressive "who's the leader" questions asked in a deliberately intimidating manner) was also reminescent of HLS protests. As for the choice of Dr. Scott Gottlieb as the target, The FDA could easily ban electroshock "aversive therapy" but has been sitting on proposed regulations for the past two years. The Judge Rotenberg Center is an infamously abusive residential school for both children and adults with disabilities. They are one of the very few schools in the US using "aversive therapy" for behavioral control. This kind of torture has also been reported to be used by some of the "conversion therapy" programs that prey on parents of GLBTQ youth, and in that context the torture has often led to suicides. Globally, electric shock is widely favored by all manner of torturers. ADAPT is demanding among other things that FDA Director Scott Gottlieb watch This Youtube video which features interviews with students at the Judge Rotenberg center, shows the body-worn electroshock devices, and includes a graphic video of the torture of then 17-year old Andre McCollins by electric shock while strapped to a restraint board. That scene looks like a cross between something from Huntingdon Life Sciences and something the School of the Americas would train dictators' security forces to do. That video overall is compelling evidence of just what a hellhole the Judge Rotenberg Education Center really is. One teenager there said she felt like she was being "punished for being born."